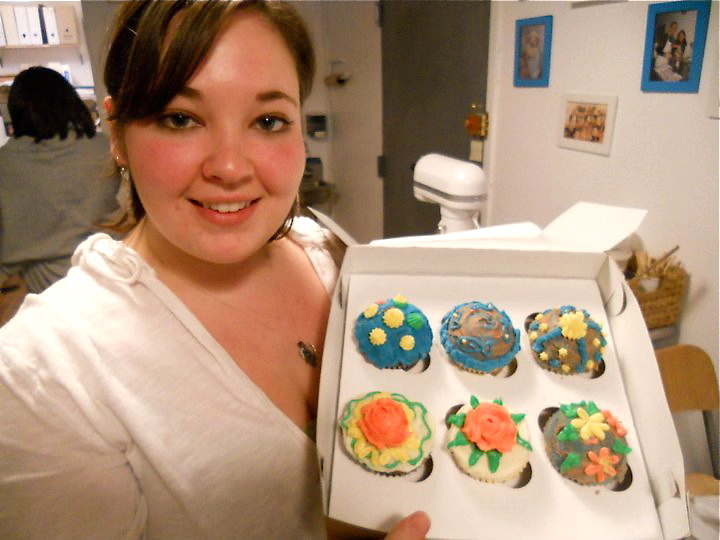 Cupcake decorating class, frosting skills and a birthday! 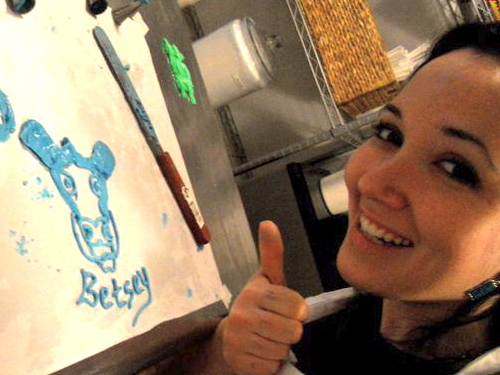 Last weekend my little sister and I took a cupcake decorating class at Butterlane Cupcakes in NYC. 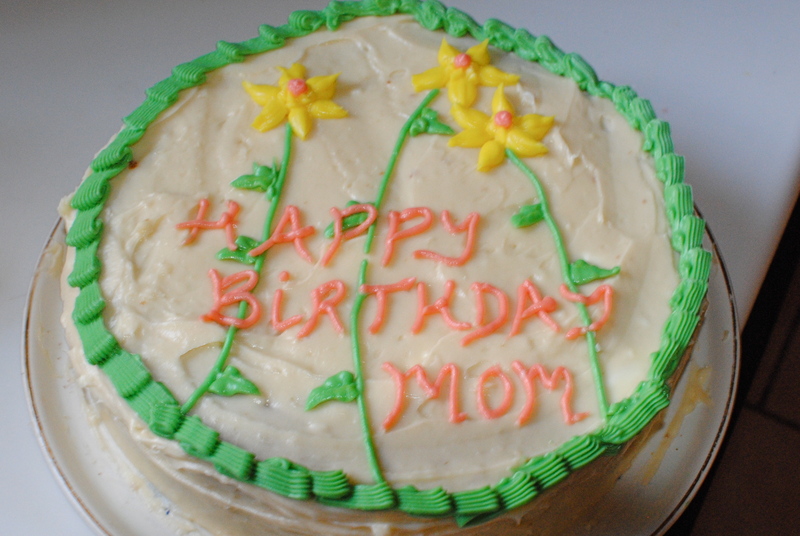 I’d been wanting to take a frosting class for a while – anyone who knows me can attest my skills are (were!) quite lacking, and while I’ve been making cut-out cookies and piping them for years, I never really learned what to do with all the little tips I’ve collected from several pastry sets. Maggie’s birthday was the perfect excuse for us to play together on a Sunday and, as I’d expected, we had an awesome time. 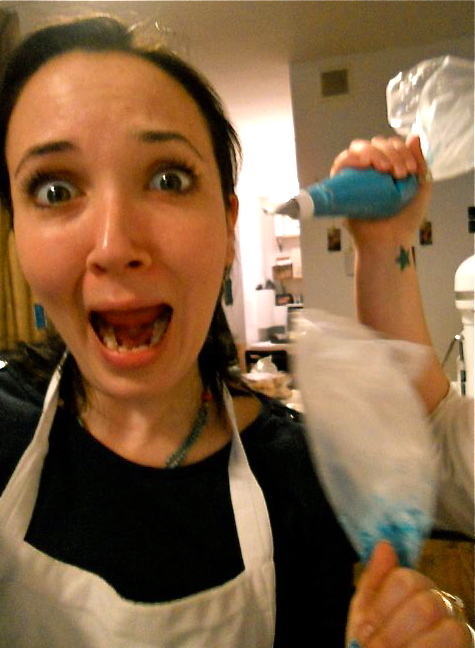 Shortly after this picture was taken blue frosting did, indeed, somehow make it into my ear. Now, in no way can I rate Butterlane’s cupcakes because they don’t offer a gluten-free option (evidently they did at one point but they didn’t sell well enough) and they use cream cheese to thicken their frosting. While I was disappointed at not getting the sugar high I was hoping for (which would have been a horrible idea in retrospect), I understand and respect the decision to use cream cheese, which gives the frosting body and cuts back on the amount of powdered sugar needed. 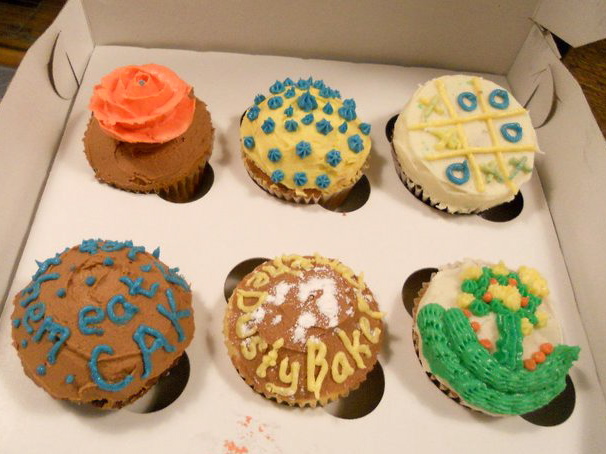 Also (shh), I’m not as into the cupcake craze as most of NYC foodies seem to be. 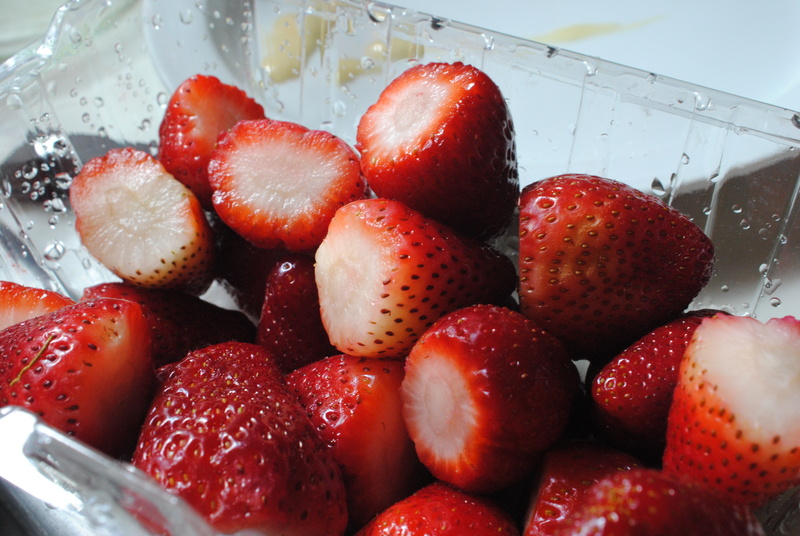 Maybe it’s because I can’t eat most of them anyway. Or maybe it’s because I’m obsessed with those pesky macarons. But I got down with this frosting class. The two hours were spent learning how to most easily fill and seal a pastry bag, and the correct pressure and “strokeage” (I’m sure someone’s used that word before but I am claiming it) for each tip and its appropriate shape. Swirly letters, puffy flowers and trees and even a somewhat likeness of Betsey, the cow that graces a large wall of the classroom, made their way onto my workspace. Towards the end of the class we learned the basics of making roses – which took a little practicing but were actually much easier than I had expected, especially once the frosting was at the perfect, somewhat hard texture needed for molding them most intricately. By the time we got our cupcakes our untrained hands were cramping and I was ravenously hungry, so my creativity was tanking a bit and Maggie definitely showed me up in the final-product department. A few days later, two very fun things happened. First, I got a new DSLR camera. My boyfriend is a filmmaker and Maggie’s a photographer, so I’ve stolen their cameras on numerous occasions to document my kitchen-time, always knowing that my photos need to step it up if they’re going to compete in this visual-food world. But as most of my serious baking happens in my own, horribly lit kitchen, many hours have been lost as I stand on step-ladders next to my window, willing the light to bounce enough for me to get a decent shot. Anyone who’s lived in NYC for a long enough period of time can tell you that there are too many kinds of indoor light, and mine is the somewhat reflected, gray wash kind. So in a miraculous turn of events, I now own a camera that both the boyfriend and Maggie say are better than theirs, through no magic of my own. I just lucked upon an incredibly affordable used Nikon body that can mount the boyfriend’s extremely expensive lenses that he no longer uses. Which means I can’t break up with him for a very long, long time. Now I can take this picture in seconds! So frosting skills and camera came together on Saturday, as I rushed to Connecticut from the city to celebrate my mother’s birthday with my siblings and grandparents over delicious food and an exciting basketball game (yay UConn!). And while I still have much to learn about both using this crazy camera (I’m just old enough that all the photography classes I took in high school and college focused on composition and developing those rolls of film) and frosting cakes, I was one happy, dusty baker.